In celebration of the Grammy’s, or perhaps because it was the last day of the exhibit and my sweet sister-in-law made sure that I would not miss something so wonderful before it was over, we went to the Brooklyn Musuem’s “Who Shot Rock & Roll” this afternoon. I will tell you all that I am sorry the show closed today because anyone who is a true fan should be sorry that they missed this gem. (Dr. Jimmy, we missed you!) Along with some of the most memorable images of the past 50 years in rock and roll, the exhibit was peppered with treats such as a full wall of a lenticular Jimi Hendrix (this is the process like the old wink buttons where the image changes when you move around it) , Jerry Garcia and Mountain Girl, and a mosh pit shot that defied reality. Also, not to give Jimi too much weight, but there was a series of him burning his guitar at Monterey Pop that I really wanted to slip in my bag on the way out. Amongst the iconic shots like Bob Gruen’s John Lennon in the NY T-shirt and images from rock photography greats like Danny Clinch and one of the world’s greatest photography talents, Richard Avedon, the show was more about the not so famous photographers. The men and women who never achieved great fame but shot those who did. I found their stories the most interesting. that’s what the Statue of Bigotry says. Your poor huddled masses, let’s club ’em to death and get it over with and just dump ’em on the boulevard.) Not gonna lie, had that one cranked up to window rattling levels. Always been a sucker for Lou Reed. All in all, I go to bed tonight a happy camper. Sometimes the week beats the crap out of us. If we can rejuice with what we love on the weekend we wake up Monday with a better attitude and the skill set to try again. 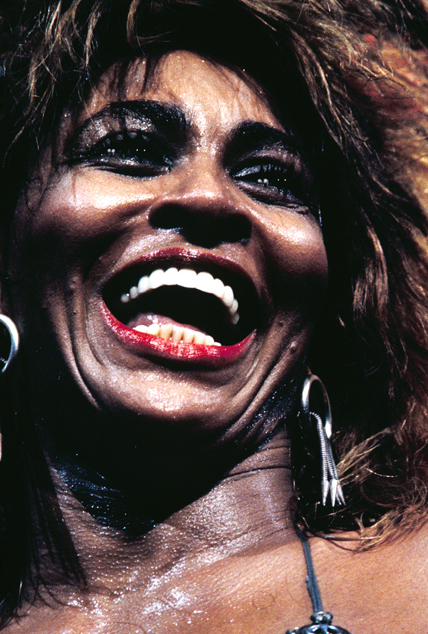 Great picture of Tina Turner. I LOVE Tina, I think she’s amazing. that is a great shot, right? there was also a very early shot of her and ike on stage that was quite incredible. I’m all for doing what makes you happy and I’m glad you had such a great day. (Sorry that I had to blow it by forgetting my wallet at dinner!!) Ouch! Next ones on us. I loved your last line and couldn’t agree with you more. I forgot with membership you get free parking.